Test drive translator for a month. Test drive 2 lessons and a quiz. Test drive 4 lessons and a quiz. 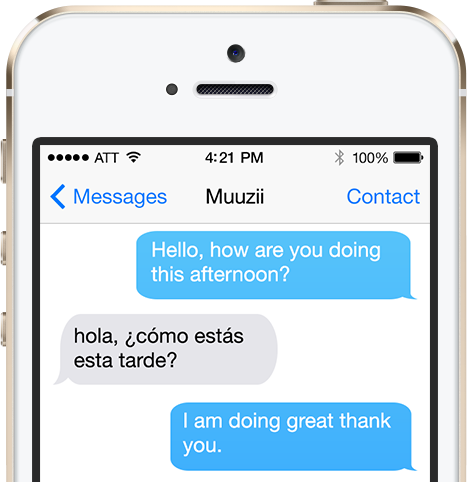 Translate messages on-the-go from English to Spanish, and vice-versa. Simple, accurate, up-to-date text dictionary. Compatible with any cell phone. Only $2.99 per month. No additional charges. Highly accurate text and audio translation. Live, work and play with no language barrier. Only $3.99 per month. No additional charges. Learning English can be a fun and easy process with your cell phone. Learn 300 words and phrases. Only $4.99 per month. No additional charges. Learn 450 words and phrases. Learning new vocabulary is simple. 624 new words, phrases, synonyms and antonyms with audio. Developing conversational skills is easy. 110 healthcare related words, phrases and idiomatic expressions. text, pictures and audio for fun on-the-go learning. Our text-based real-time translator is designed to assist language learning and help anywhere 24/7, on any mobile device.